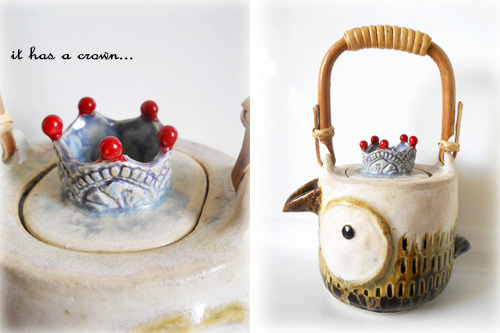 I adore this 'Owl Princess' teapot and cups set by Aun Pongtana of Coconut Studio Pottery whose work I featured previously here. 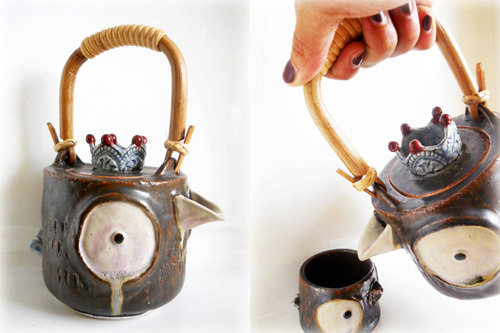 Aun is a ceramic artist based in Thailand who handmakes quirky and functional ceramic products that are intended for everyday use. 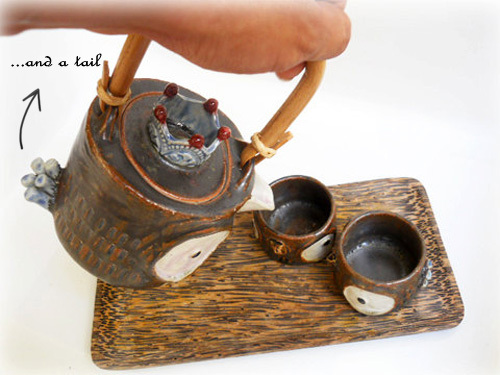 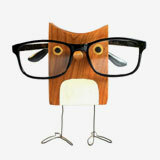 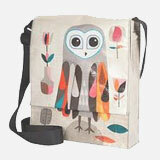 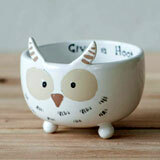 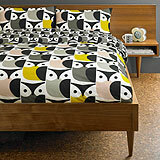 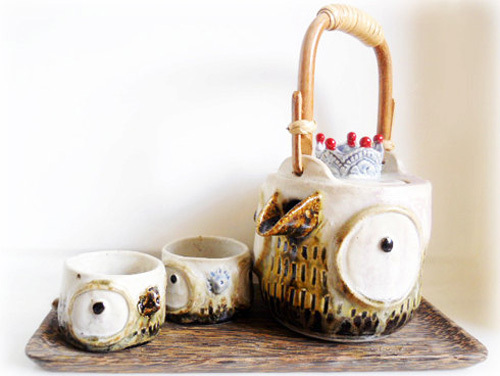 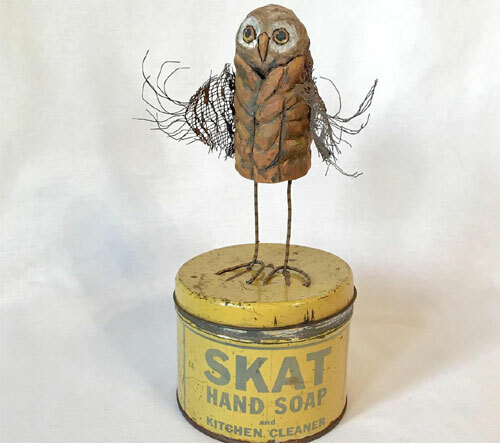 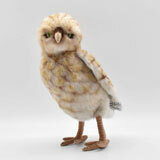 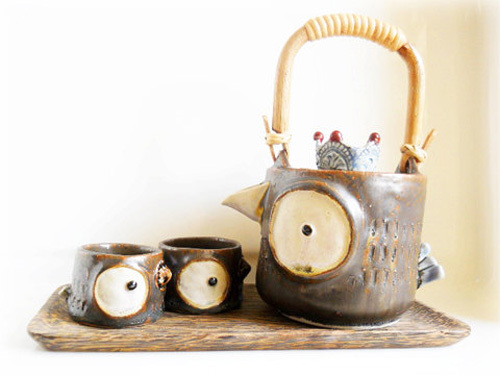 This cute owl set consists of an owl shaped teapot, two cups and a wooden tray, and is available in her online store.